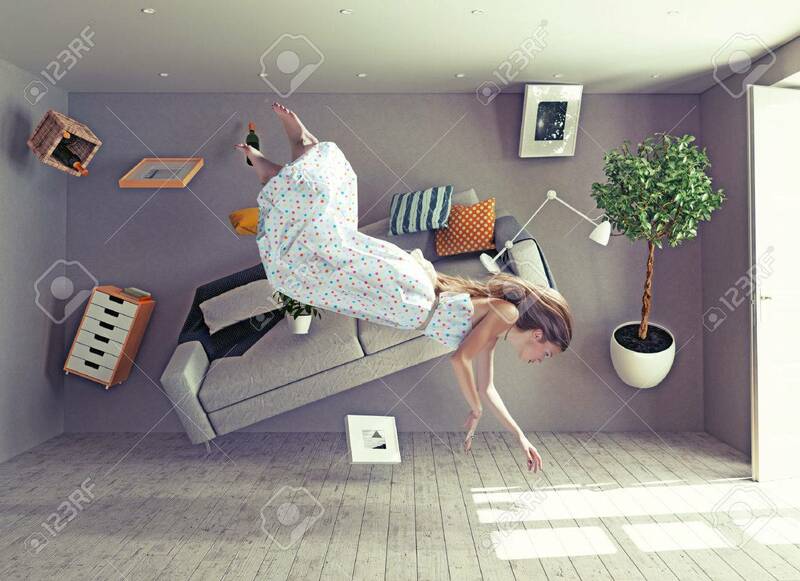 Young Beautiful Lady Fly In Zero Gravity Room. Photo Combination Creative Concept 免版權照片，圖片，畫像及圖片庫. Image 43295082.